Brand New Home Ready For You NOW!! Truly an amazing home! Located in The Enclave at Meadow Pointe, home is central to everything you could possibly want! Major shopping & the Florida Hospital are just a few minutes away! 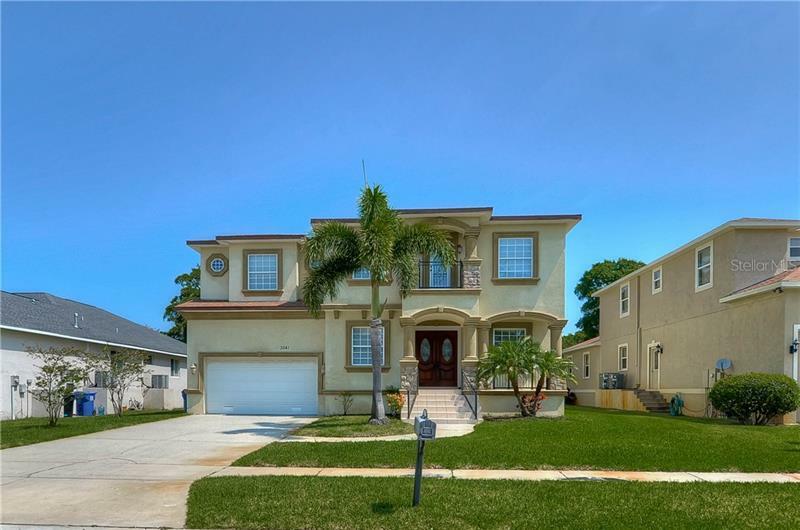 Gorgeous home at just under 3,000 SqFt boasts 5 beds & 3 full bathrooms. Large covered patio is warm, inviting & is the start of so many wonderful details of this home. As you enter, you will notice the warm neutral tones & diagonally laid 17x17 floor tile that leads you into spacious family room. Kitchen has beautiful 42" stacked & staggered downing linen cabinetry w/ satin nickel hardware & crown moulding & is enhanced by the New Caledonia granite countertops, GE stainless steel appliances & can lighting. Massive island is the perfect compliment to this kitchen. Full bath & bedroom downstairs makes perfect guest suite or home office. As you make your way up the stairs, you are greeted by spacious loft area & secondary bedrooms. Owners retreat also located upstairs & features luxurious en suite bath complete with his & hers raised vanity w/ soaking garden tub & separate shower. Master walk in closet is as large as a bedroom! Walk in closet also has separate door that leads directly into laundry room for convenience! One of the best features of this home is the massive oversized pie shaped homesite! You have plenty of room for a pool if desired & back of the home faces conservation view. Truly a must see! Please call & schedule your personal tour of this home today!